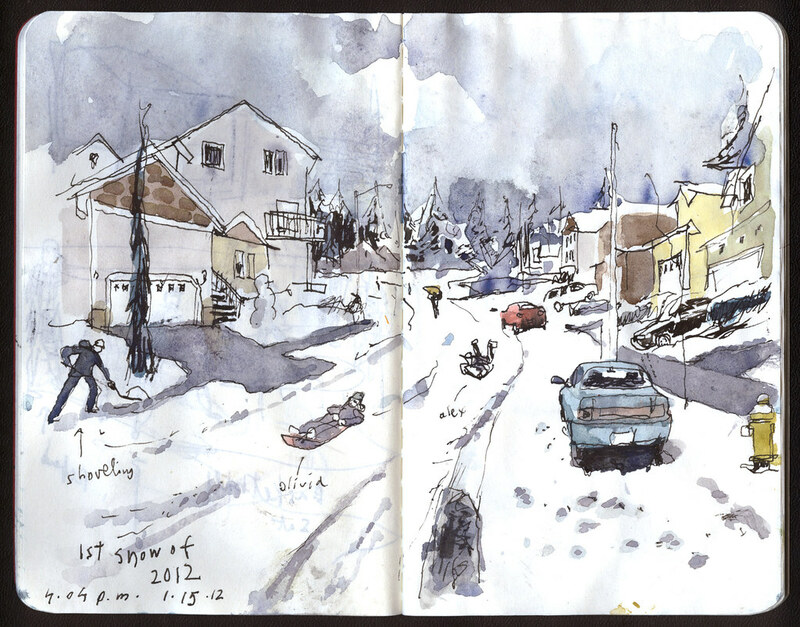 This weekend’s storm offered a great opportunity to draw snow. 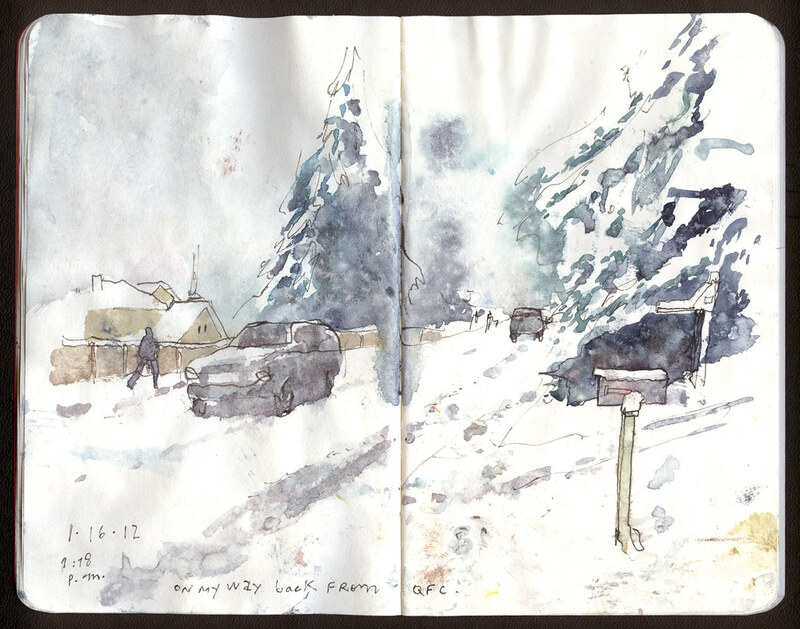 On my Facebook page, you can see photos taken while I was making these sketches around my neighborhood near Mill Creek — our street was too icy to drive up, so we stayed home all weekend, except for a hike to the store. How do you like snow? I grew up by the Mediterranean Sea and didn’t see a snowfall until I was 14. I’m still mesmerized by it, at least for a couple of days. Click on the sketches to see larger versions.